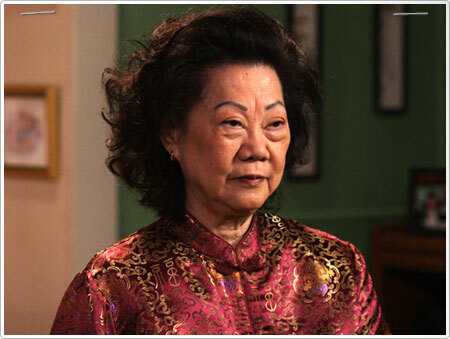 Helana was born and educated in China and came to Canada as a flight attendant for Canadian Pacific Airlines in the 1950's. She married a Canadian pilot in 1953, and began acting in 1985. Since then, she has worked steadily, appearing in over 40 roles for both television and film. Some of Yea's more memorable shows include the television series Cold Squad, 21 Jump Street (with the then relatively unknown Johnny Depp), and General Hospital. Recent TV series include CBC's 49th & Main. Yea has also appeared in many roles for feature films, such as Antitrust with Tim Robbins, and a very funny role in Happy Gilmore as Adam Sandler's one night stand. Her most recent feature is Uwe Boll's Postal. A Robson Arms series regular from its inception, Yea returns in Season 3 as the caustic-tongued Tan matriarch. Yea is also a favourite in commercials that have aired not only nationally in the States and Canada, but globally. Yea taught piano for 45 years, retiring from in 2004. In 1976 and 1977, she was elected President of the B.C. Division of the prestigious Canadian Music Competitions, and as one of the National Directors of the organization.